The scores are in for Mutant Year Zero: Road to Eden, a tactical adventure game in which you control a group of anthropomorphic mutants exploring post-human life on Earth. Mutant Year Zero released today on PC and even though it’s still a little early for the full flood of review scores we can at least see what the first few critics thought of it. Mutant Year Zero: Road to Eden marries stealth to real-time strategy. Its turn-based tactics are comparable to those in XCOM, but it also has a real-time exploration phase that allows you to move your mutant team in place for ambushes, getting the drop on guards and other enemies. It also has talking mutant animals wielding machine guns and that’s pretty neat. Although we didn’t review Mutant Year Zero here at PCGamesN, we have a number of excellent stories about the game’s XCOM-inspired combat and how its approach to stealth is informed by Metal Gear Solid. At the time of writing, Mutant Year Zero: Road to Eden has an OpenCritic score of 75 and a Metacritic score of 80. Those are solid numbers and a strong start to the release of the game. Make sure to check out the links below for a selection of the review scores from around the internet. Unless otherwise stated, all reviews listed were done on PC. 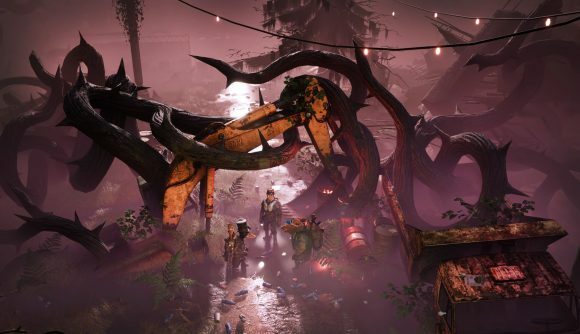 So far, critics are pleased with Mutant Year Zero: Road to Eden’s blend of stealth and combat. However, it seems they had problems with some of the game’s smaller, subtler mechanics and the forced humour. We’ll keep updating this review round-up as more websites release their scores.